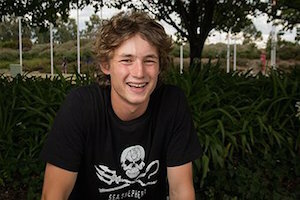 Find out more about the current Heywire Regional Youth Summit and the new Trailblazers programme. 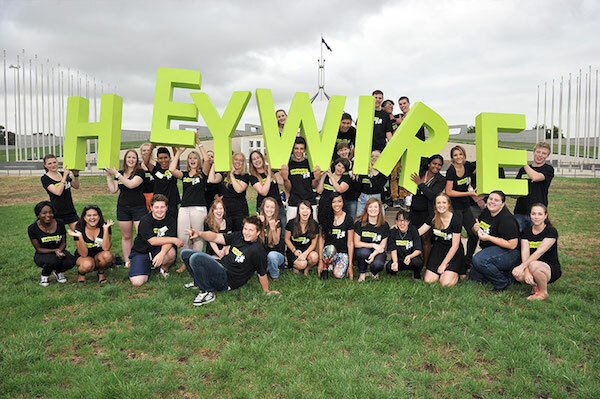 The Heywire Regional Youth Summit talks bring together young people, politicians, youth organisations and the ABC. Mike & Geraldine shown here attending the 2016 Youth Summit Awards Dinner in Canberra. Photo by Mark Graham. 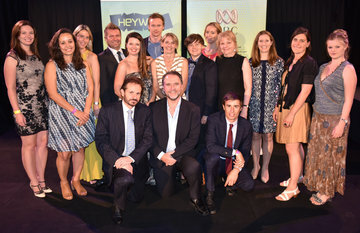 WHAT IS THE ABC HEYWIRE PROGRAM? This catalytic program helps community groups implement the ideas and solutions that emerge from the annual Heywire Regional Youth Summit. 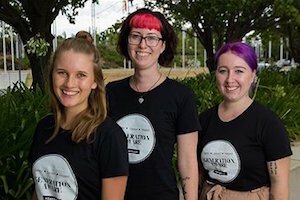 Each February, about 40 young people from rural and regional Australia gather in Canberra to engage in youth-led national conversations about issues that matter to them. 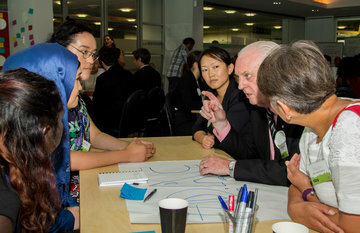 Together they develop brilliant ideas to improve the lives of young Australians. Because the impact of this program is far more than just the projects themselves. It encourages young people to speak up and take action, becoming the next generation of regional entrepreneurs and leaders. This intersects perfectly with what the Sally Foundation thinks is important - fostering the development of young Australians and young people across regional and rural Australia in particular. 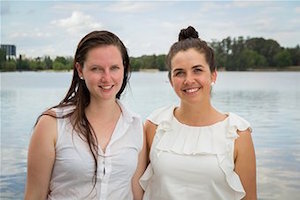 Sally partners with FRRR (Foundation for Rural & Regional Renewal) who provide grants to help communities adopt the ideas that emerge from ABC Heywire. 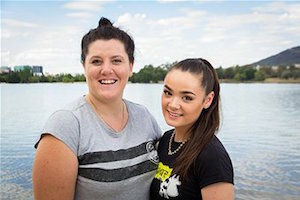 "I have attended 3 Heywire Summits where 40+ young people throughout rural and regional Australia come to Canberra for one week; each time I am amazed and excited by their vivacity, creativity and determination to find new solutions to the concerns of young people. The topics/themes are timely issues ranging from sustainable careers in Agriculture, to Mental Health issues, to Diversity and many others... whatever is important to the local community. I feel privileged to be invited to be part of this process and be in the presence of the future leaders of our country. Having worked with troubled young people I am very aware that it takes great courage to tell their personal story to the public. The ABC team supports and encourages these young people to tell their stories and capture their audience. As a funder/partner to the FRRR/ABC Heywire Grants I find it very exciting that many projects have an impact long after the 12 month funding period. It is rewarding and uplifting to see these original ideas taken forward and sometimes attracting larger funders."